Today we’re going to look at some of the best Samsung Galaxy S10 cases and covers. No matter if you are looking for a protective case or something more stylish we have tried to include something that is perfect for you. All of the cases included in this round-up are available to order right now on Mobile Fun so you won’t have to wait long to get your hands on your favourite Samsung Galaxy S10 case! 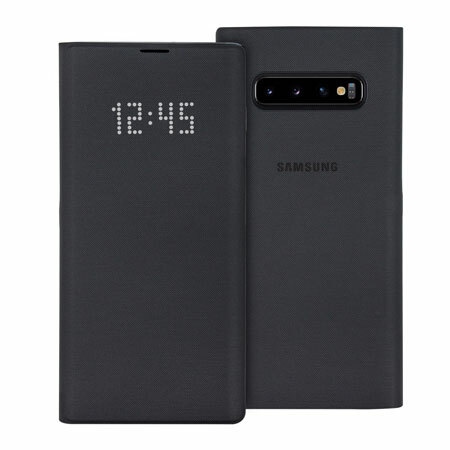 The LED Flip Wallet has long been a fan favourite official Samsung case, the LED Cover features a dot matrix embedded into the front of the case, displaying your notifications, time, incoming calls and other information in a retro manner. The LED flip cover also features an integrated internal card slot, perfect for keeping your ID, bus ticket or credit card close to hand. The Olixar ArmourDillo provides incredible protection against knocks and drops while keeping your device relatively slimline. This case also features textured back and sides that add significant grip and a flip-out stand, meaning you can watch videos or keep an eye on your messages without having to buy a dedicated stand for your phone. The ArmourDillo is a great option for someone looking to ensure their new Samsung Galaxy S10 is well protected while being practical. The Pylo case from UAG is a semi-transparent tough case that features UAG’s patented Air-Soft reinforcement technology. 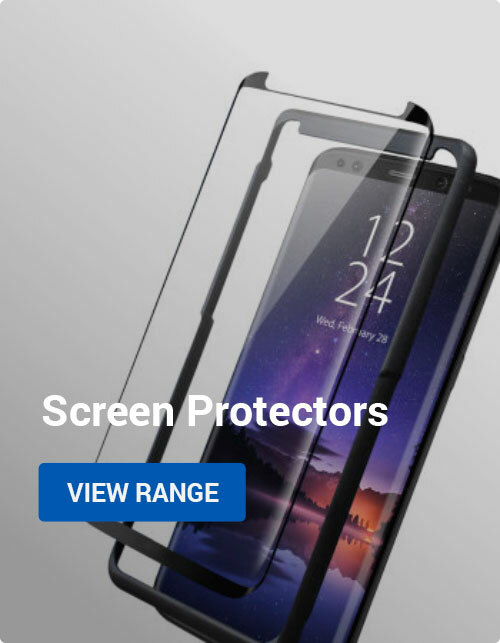 The semi-transparent nature of this case allows you to keep the stunning design of your Samsung Galaxy S10 visible, whilst the protective nature of this case ensures your device is protected from drops and shocks. 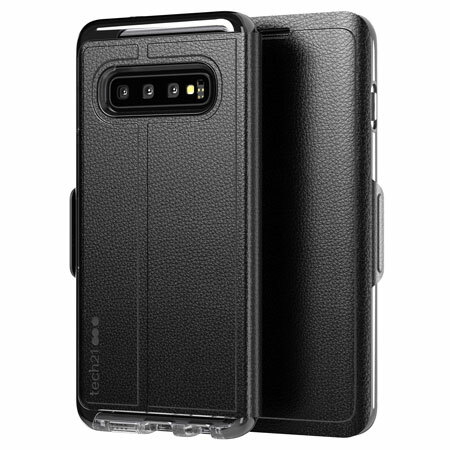 The Pylo case is the perfect option for someone looking to ensure their Galaxy S10 stays in perfect condition while being able to see the beauty of their flagship device. The Olixar FlexiShield is one of the longest standing Olixar cases and its not surprising why when you take a closer look into this case. The case doesn’t provide the best protection against drops, but has great scratch resistance, making this case great for keeping your phone in good condition. The FlexiShield case is also extremely slimline, helping retain the original feel of your device. Next up we have the Official Genuine Leather Cover from Samsung. This slim fitting case is crafted from high-quality genuine leather that provides a unique and stylish design to your new Samsung Galaxy S10. 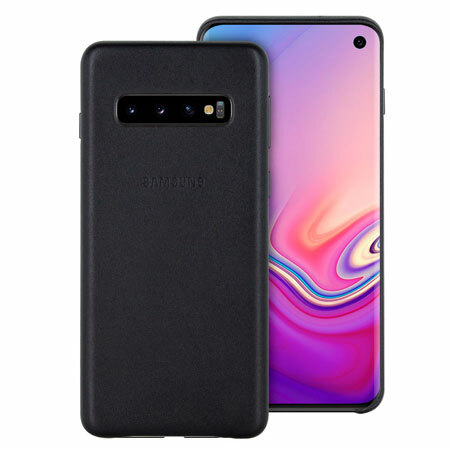 Additionally, this case provides protection to the back and sides of your device, helping to keep your Galaxy S10 looking just as fresh as when you first took it out of the box. 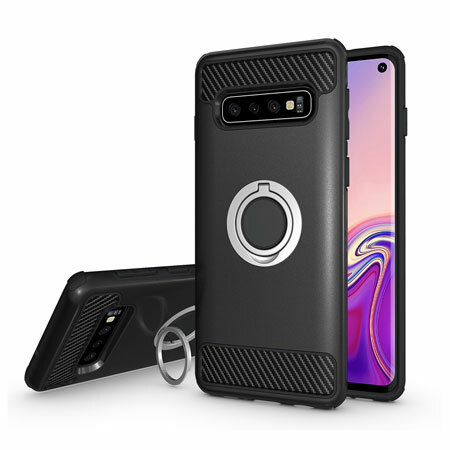 The Ares 360° Case is the ultimate 360° protective case for your new Samsung Galaxy S10. 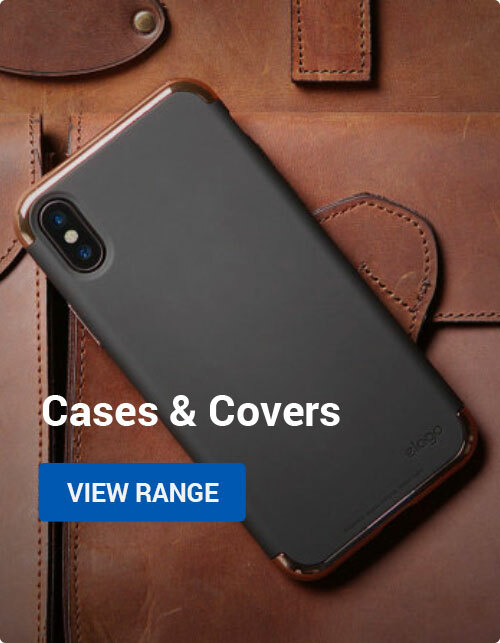 Featuring Military Grade protection, the Ares two-piece case protects your device from shocks, scrapes and everything in between all while maintaining a slim and elegant profile. The unique two-piece nature of this case creates a raised lip around your device’s screen – reducing the likelihood of scratches or other damage when you place your phone face down on a flat surface. 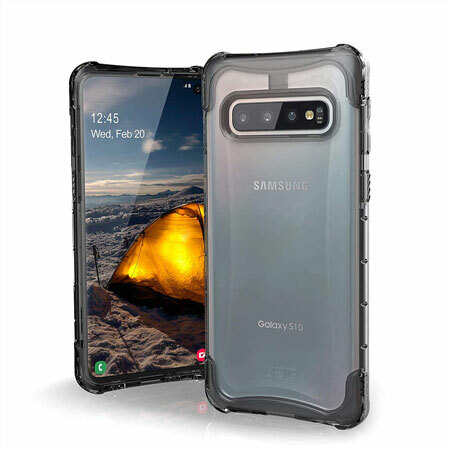 The Olixar ArmaRing case offers dual-layered protection for your Samsung Galaxy S10. The ArmaRing features a built-in Finger loop that offers extra protection in multiple ways, firstly when the loop is being used – this gives you an extra secure grip on your device, ensuring that it cannot be dropped accidentally, however, it also ensures your phone cannot be snatched from your hand. So, security against damage and security against theft – that’s the beauty of ArmaRing. Tech21’s Evo Wallet is a premium wallet case for the Samsung Galaxy S10. Wrapped in a faux leather material the Evo Wallet features two concealed card slots, perfect for allowing you to travel light. Don’t be fooled by this case’s premium styling though, the Evo Check still features Tech21’s FlexShock material, helping to provide up to 12ft of drop protection for your Samsung Galaxy S10. Finally, we have the Olixar MeshTex case, an extremely stylish and practical case. The MeshTex case allows heat to dissipate through its mesh patterned casing, keeping the phone cooler and optimising performance. The unique mesh pattern also adds to your S10’s style no end, making the MeshTex case a top chose for those after thin and bold protection. We hope you enjoyed our selection of Samsung Galaxy S10 Cases. 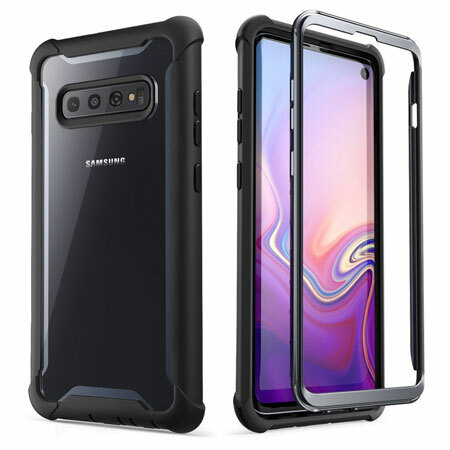 We also stock a wide range of cases for the Samsung Galaxy S10e and the Samsung Galaxy S10 Plus for those with the other devices. Android, Buyers Guides, Mobile Accessories, Reviews Android, cases, Olixar, protective cases, Samsung galaxy s10, Top 5. permalink.